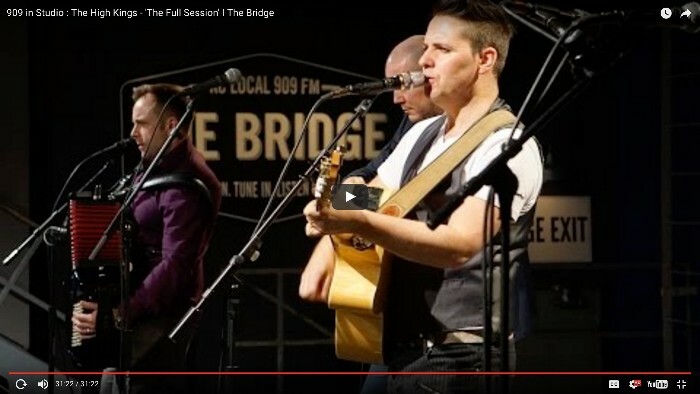 The High Kings perform live and are interviewed by Jon Hart on 909 The Bridge in Kansas City, MO. The High Kings Half Hour Performance & Interview on 909. Check out the full video on our video page of The High Kings performing live, along with an interview by Jon Hart on 909 The Bridge in Kansas City, MO.